Juneau bed and breakfast travel guide for romantic, historic and adventure b&b's. 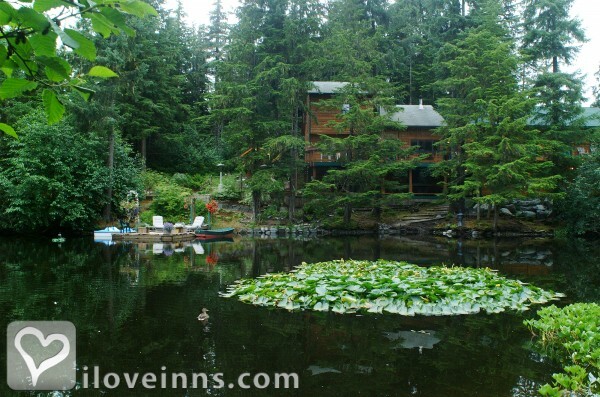 Browse through the iLoveInns.com database of Juneau, Alaska bed and breakfasts and country inns to find detailed listings that include room rates, special deals and area activities. You can click on the 'check rates and availability' button to contact the innkeeper. Juneau, AK, named # 11 in the U.S. Best Places to Live and a top location to consider for early retirement. Nestled in the lush rainforest where the mountains meet the sea, Juneau is Alaska's capital city. It is the world mecca for outdoor adventures, including kayaking, fishing, glacier trekking, dog mushing, hiking, biking, and winter skiing. The mild marine climate is pleasant year round. By Pearson's Pond Luxury Inn and Adventure Spa. Beauty and adventure abounds in Juneau, Alaska. Here you can do everything from flightseeing to hiking, wildlife viewing to glacier cruising, and much more from Juneau. Juneau bed and breakfasts are great posts for seeing the most awe inspiring scenery in all of Alaska and, best of all, it is accessible to everyone! You can climb glacial ice, fish for halibut and trek through the rain forest, all within minutes of each other and of Juneau. Words are insufficient to describe the heart-stopping natural beauty and impact Juneau will have on your senses! You must see it for yourself! By Pearson's Pond Luxury Inn and Adventure Spa.